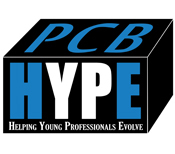 Join our young professional committee HYPE, which stands for Helping Young Professionals Evolve. This annual membership will cover all events* for 12 months. Please Note: This is the non-Panama City Beach Chamber membership rate.